Energy Efficient Glass Manchester, North West, UK | D&M Windows & Doors Ltd.
A staggering 26% of all domestic heat loss escapes through the windows*. Installing energy efficient windows can save you up to 28% per year on your heating bills compared to traditional windows and frames. 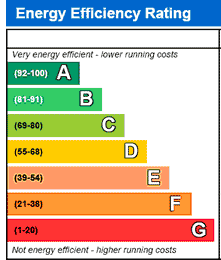 Window Energy rating are there to explain how energy efficient your windows are. The rating system is founded on ratings of A-G. Naturally A rated glass is the most energy efficient glass. All windows and doors that we are supply and fit are able to achieve up to A rated energy efficiency. For more information on how our Energy Efficient Glass experts can assist with your forthcoming project please call 0161 785 4663 or email us.